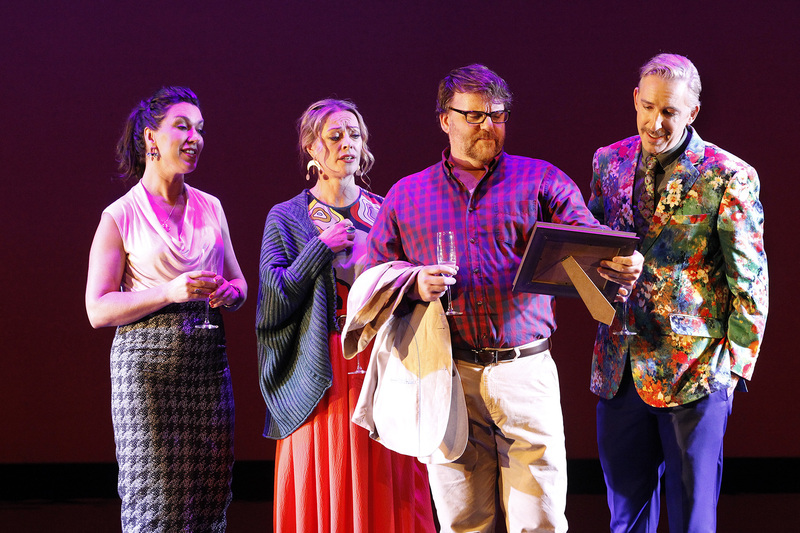 A new Australian musical about divine food and devoted friends. Created by legendary jazz musician Paul Grabowsky and Australian TV icon Steve Vizard, Banquet of Secrets follows four old friends at their annual dinner. Over one elaborate meal, they reflect on the joys and sorrows of life and share secrets they have kept for a lifetime. Featuring the stars of Victorian Opera's smash hit Sweeney Todd, Antoinette Halloran, Dimity Shepherd, David Rogers-Smith and Kanen Breen. Don't miss this brand new musical about friendship and the joy and power of food, presented in partnership with Arts Centre Melbourne as part of the Melbourne Food and Wine Festival. Arts Centre Melbourne as part of the Melbourne Food and Wine Festival. Victorian Opera New Work Syndicate and The Robert Salzer Foundation.